Chiropractic treatment is based on the concept that restricted movement in the spine or other joints in the body may lead to pain and reduced function. Spinal adjustment (manipulation) is one form of therapy chiropractors use to treat restricted mobility. The goal is to restore proper joint motion and, as a result, improve function and decrease pain. So whatever your health goals are; whether you want to be pain free, have more energy, or less stress, you have options. Schedule your complementary consultation to determine whether Acupuncture, Chiropractic or the dual healing effect of both is best for you. Feel better AND function better. This is our goal. How will Dr. Norley help me? Methods vary from light touch to machine controlled contact. 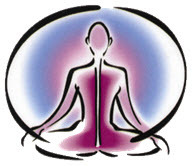 The intention of the adjustment is to remove interference from the nervous system. When normal function is restored, the body can work at an optimal level and can handle stress effectively. It’s actually quite simple, in about 90 percent of all low back pain cases, a nerve that travels from the spinal cord through the vertebrae (bones of the spine) gets pinched or irritated, the muscles tense up and the patient experiences low back pain. The solution depends on why the nerve is irritated in the first place. Dr. Norley custom ordered her chiropractic tables to achieve maximum comfort for her patients. This state of the art equipment provides patients with a comfortable, relaxing experience. Dr. Norley spares no expense to provide excellent care for those entrusting their health to her care. Restores integrity to the joint function. Increase flexibility and immune function. Maintain the benefits of care. The effects of daily stressors can be minimized with regular tune ups. Patients who receive long-term wellness care report fewer colds, improved sleep, high energy levels, better stamina and improved tolerance to vigorous activity. Be healthier than you are now! A synopsis of research articles endorse the effectiveness of chiropractic, including no-force techniques for chiropractic adjustments which means no cracking. The evidence supports that chiropractic care provides safe, effective pain relief for patients with back and neck pain. Tuesday and Thursday hours vary. Please call to schedule your appointment. Come in for a free consultation and together we will determine whether Acupuncture or Chiropractic can help you. Sign up to receive free health updates and practice news from Dr. Pamela Norley. A maximum of 12 updates will be sent out in one year.